Aqua Metals is reinventing lead recycling with its patented and patent-pending AquaRefining™ technology. 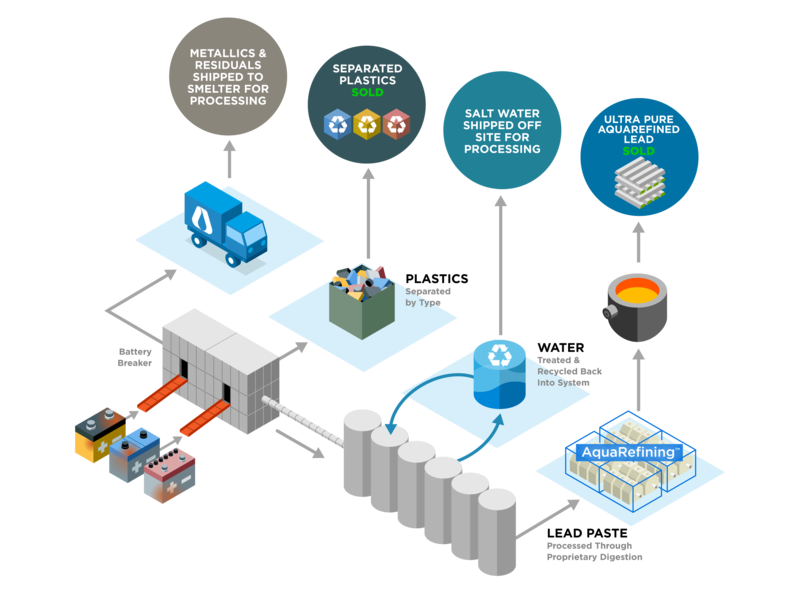 These modular systems reduce environmental impact and scale lead acid recycling production capacity to meet the growing demand for lead driven by innovations in automobile batteries, growth in Internet data centers and alternative energy applications including solar, wind, and grid scale storage. AquaRefining is a room temperature, water-based process that is fundamentally non-polluting. It utilizes electroplating with continuous removal of lead enabling one module to produce roughly 2.5 – 3 tonnes of ultra pure lead per day. Video displays AquaRefining at Alameda Lab. Full sized AquaRefiners are covered and conceal the process of continuous removal from cathodes. To see more AquaRefing videos click here ». Our battery recycling is a closed-loop process that lowers environmental impact. 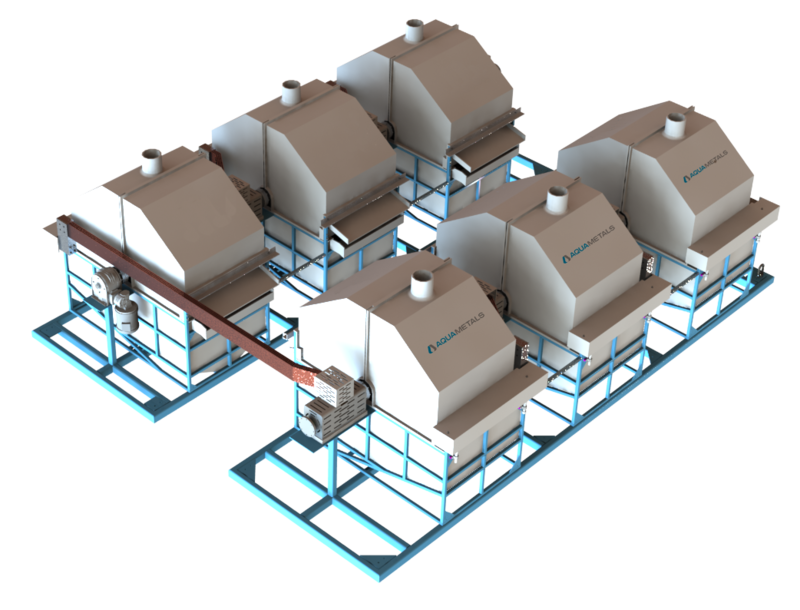 AquaRefining technology is constructed as modular systems that can enable smelting operations to increase global lead production without increasing emissions and therefore reduce the permitting challenges typically associated with smelters.